SMC4 Observer is a social network observing software application that views students Facebook, Twitter and other social media sites to observe and report threats from bullying, self harm or violence. 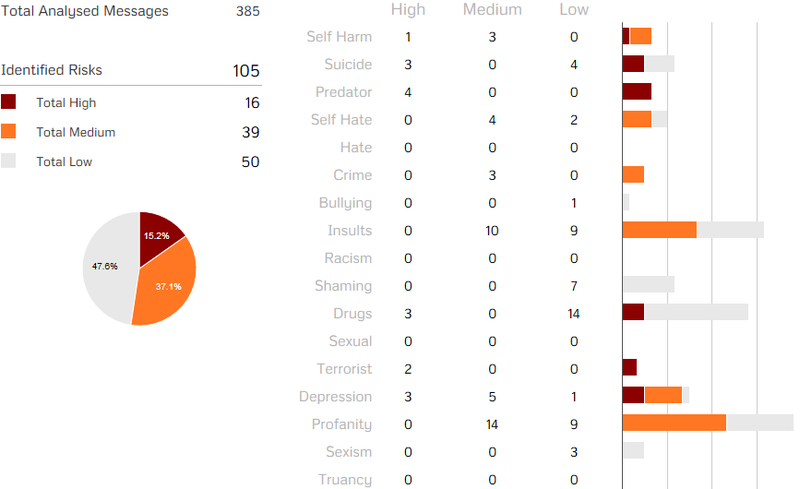 SMC4 provides real time risk priority reporting of bullying, self harm and violence, to Parents, Guardians and School Officials, enabling appropriate response. SMC4 includes comprehensive criminal observing tools, reporting and archiving criminal actions recorded on Social Media sites, such as a person facebooking that they stole a car, mugged a person, or damaged property. Observer keeps a secure archive of crime for Schools and Authorities. As part of our commitment to help end Cyber Bullying we are providing free of charge a 100 user licence to all schools and police agencies worldwide. Click here to get started.